We inquire into the corporate purpose of organisations and the value they aim to deliver beyond financial value. There are good business reasons for clarifying purpose. But the outcomes can be described in simple terms: happier and more motivated staff, more contented and loyal customers, and an organisation that takes a pride in its contribution to society. It’s ironic, if you think about it, that we feel obliged to dress up our challenge to the corporate zeitgeist in a corporate discourse. It just shows how deep runs the economistic, managerial paradigm which governs not just business life but so much else beside. This was elegantly documented last year by Michael Sandel in his book What Money Can’t Buy which catalogued the many ways in which the values of the market now infect almost every relationship in life and crowd out other values. These range from paying children monetary incentives to achieve good grades at school (crowding out love of learning) through paying people to hold a place for you in a queue (crowding out the ethic of turn-taking) to “death markets” whereby investors gamble on the life expectancy of people with terminal diseases, willing them to die (crowding out, though I’m sure you don’t need this clarifying, respect for life). Sandel emphasises how monetary exchange is not – as traditional economics maintains – a neutral way of valuing a transaction but materially changes the transaction itself. 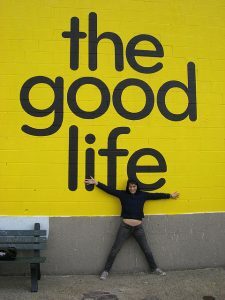 “Some of the good things in life are corrupted or degraded if turned into commodities. So to decide where the market belongs, and where it should be kept at a distance, we have to decide how to value the goods in question – health, education, family life, nature, art, civic duties, and so on. These are moral and political questions, not merely economic ones. To resolve them, we have to debate, case by case, the moral meaning of these goods and the proper way of valuing them. “This is a debate we didn’t have during the era of market triumphalism. As a result, without quite realizing it, without ever deciding to do so, we drifted from having a market economy to being a market society. “This sort of conjunction of crises in a whole range of the crucial institutions of the ‘ancien regime’ is the sort of thing usually associated with some sort of convulsion… (It) may signal some much deeper changes in our whole edifice of governance, for better or possibly for worse. I am not saying the individual crises are being ignored – of course they are not. But the big picture does seem to be being neglected in preference to focusing on the economy whilst the individual crises are treated as isolated, episodic, and separate ‘news’ stories. A convulsion which could presage complete social collapse and yet, as Matthew Taylor observes, we carry on much as before. Michael Sandel demands that we welcome “competing notions of the good life into the public square”, that we become less reluctant to engage in moral and spiritual argument. At Vogel Wakefield, our small contribution to this aim is to challenge people in organisations with alternative perspectives to the managerial. We can dress up the rationale for doing this in terms of impact on the bottom line. But the stakes are higher than this. Too many corporate institutions – in all sectors: public, private and voluntary – so consume the social fabric that they put at risk the societies that give them life. 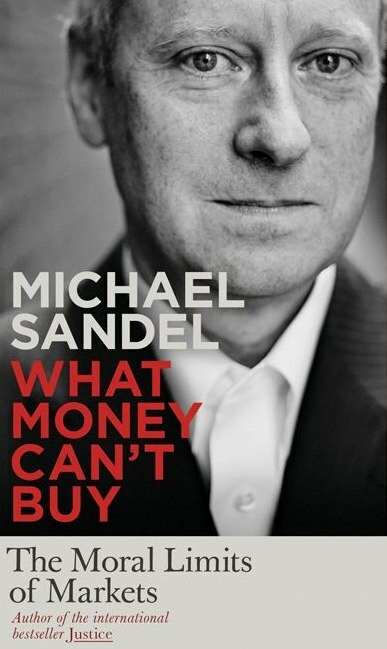 What Money Can’t Buy: The Moral Limits of Markets by Michael Sandel. Next Next post: It’s happiness, Stupid!